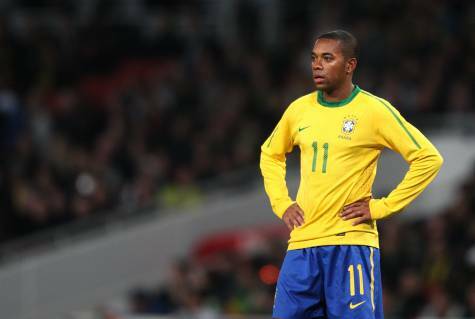 A row over outstanding wage payments at Santos could signal an early return to Manchester City for Robinho. The winger joined Santos on loan during January after falling out of favour with City manager Roberto Mancini, but the Brazilian club could not match his £160,000-a-week wages so sought sponsorship from three other major investors in order to cover the payments – with a share of the player’s image rights offered in return. However, The Manchester Evening News are reporting that one of the sponsorship deals has already fallen through and the remaining two are yet to be finalized fully. Robinho and his representatives have played down the speculation but, should Santos fail to pay the Brazilian forward’s wages, he will have little choice but return to Manchester City.